My main area of development is computer vision and applied mathematics in physical tasks. 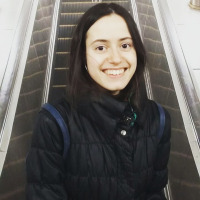 After graduating from the Bauman Moscow State Technical University Department of Applied Mathematics (with honors), I worked as a developer in the field of computer vision. I got a wonderful experience, having implemented such projects as robust visual odometer, particle filter with switching sensors and so on. Also I have a 5+ years experience of work with different projects in sphere of numerical methods: finite element method and finite difference tasks, optimisation tasks and so on. My main skills are: 1) C/C++ 2) A lot of C/C++ libraries connected with computer vision and parallel programming such as: OpenMP, OpenACC, MPI, OpenCV, Eigen and so on. 3) CUDA 4) MATLAB 5) Wolfram Mathematica 6) Python 7) ROS 8) SolidWorks, ANSYS Now I am in process of writing my Ph.D thesis on "Moodeling of the emergence and development of smeared cracks in the thermoelastic brittle material".